Te Rori a Mua Trust was established in 1993 on a rural setting to provide a 24/7 residential service and a day program during the week for adults with an intellectual disability. The meaning of Te Rori A Mua is "the road ahead"and this provides the foundation to ensure the organisation focuses on the future to provide quality services to meet the needs, aspirations and wellbeing of people with intellectual disability and their families. 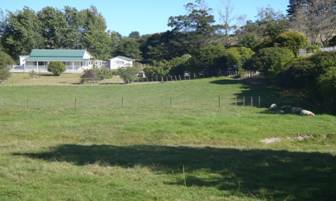 Te Rori a Mua Trust is situated on 6 acres of farm land. Te Rori a Mua Trust has a holistic approach to service provision that recognises the importance of the cultural, physical, mental, emotional, spiritual wellbeing as essential for residents, day program participants and their families. This includes ensuring the complex has space, access to nature, is aesthetically appealing and is a place where whanau can gather, unite and learn. Nine residents currently reside at the Trust and thirteen participants join the day service at the Trust during the week.